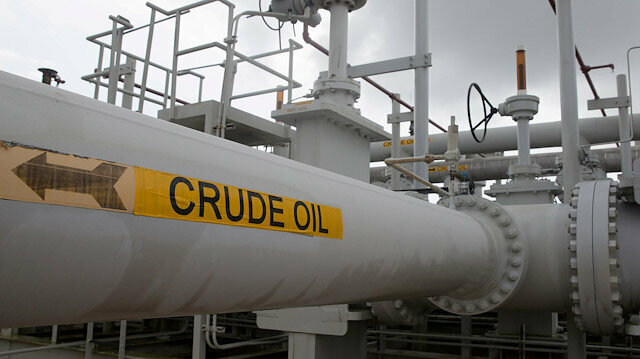 A survey of 32 economists and analysts forecasts the North Sea Brent crude oil benchmark will average $69.13 per barrel in 2019, more than $5 lower than last month's projection. Brent has averaged $71.76 in 2018. "The first half of 2019 will be dominated by concerns about oversupply," said Ashley Petersen of Stratas Advisors. The Organization of the Petroleum Exporting Countries and other producers including Russia, known collectively as OPEC+, agreed earlier this month to cut production by 1.2 million barrels per day (bpd) to try to drain global crude inventories and support prices. But the cuts are not due to take place until January and prices have fallen more than 15 percent since the announcement. "The market had largely priced in renewed production cuts from OPEC. As a result, we expect prices to sink if OPEC or Russia diverge from their production quotas notably," said Cailin Birch, an analyst at the Economist Intelligence Unit. "We expect the cuts to be renewed in April, when the deal comes up for review, as higher output from the U.S. and weakening global demand require continued restraint." Oil prices have fallen more than 40 percent from multi-year highs reached in early October on concerns about the impact of a trade dispute between the United States and China on global economic growth and demand for oil. Another potential headwind next year is slowing consumption. Many analysts project demand growth of a little over 1 million bpd in 2019, compared with an increase of 1.54 million bpd in 2018, according to the U.S. Energy Information Administration. Meanwhile, U.S. shale oil output growth is expected to remain robust, adding to supply. The United States this year surpassed Russia and Saudi Arabia as the world's biggest oil producer, with overall U.S. crude production climbing to a record 11.7 million bpd. "We expect U.S. (companies) will increase shale oil production continuously over the next year," said Adrià Morron Salmeron, economist at CaixaBank Research. The Reuters poll forecast U.S. light crude would average $61.05 per barrel in 2019, versus $67.45 projected in the previous poll. It has averaged $64.98 in 2018. Analysts believe the end of U.S. sanctions waivers on Iran's oil exports will put extra pressure on oil prices.